Did Duque secretly negotiate with the ELN? Colombia’s government confirmed that a confidant of President Ivan Duque traveled to Cuba, but denied that the government had been talking with ELN guerrillas in secret. Duque and his peace commissioner, Miguel Ceballos, are under international pressure for ending peace talks without allowing the return of ELN guerrillas to Colombia as agreed with guarantor countries. The government has said it will not honor the agreement made ahead of the failed peace talks because the current administration never took part in them. Public news broadcast Noticias Uno reported on Saturday that one of these “friends” was Everth Bustamante, a former M-19 guerrilla and former Senator for Duque’s hard-right Democratic Center party. According to Noticias Uno, Bustamante traveled to Cuba on two occasions in November and December to hold secret talks with the guerrillas on behalf of the president, apparently bypassing the peace commissioner. 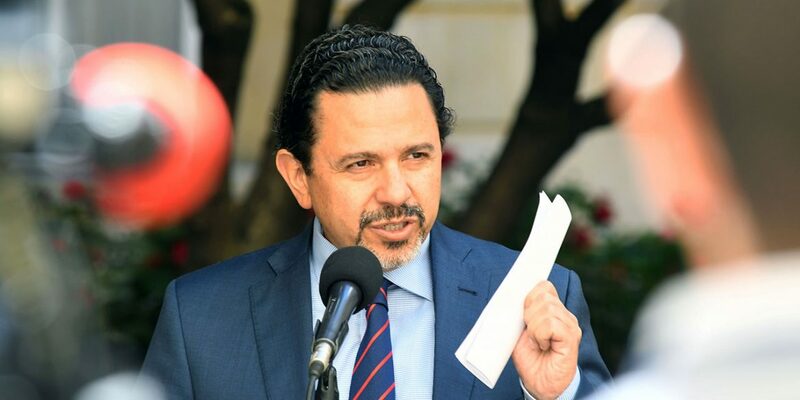 The former senator neither confirmed nor denied the claim, but said that he supported Duque and respected Ceballos, the only government official allowed to formally talk with the ELN. Following a terrorist attack by an alleged ELN guerrilla that killed 21 police cadets in Bogota earlier this month, Duque said he would not resume peace talks he had frozen when taking office in August last year. The government has since gone out of its way to deny its obligation to allow ELN leaders to return to Cuba as agreed with the international community in the event of a rupture of the talks, arguing that Duque has never acknowledged the talks that began in 2017 under his predecessor, Nobel Peace Prize winner Juan Manuel Santos.